Do you want to unleash your creativity and make spectacular rock artwork? 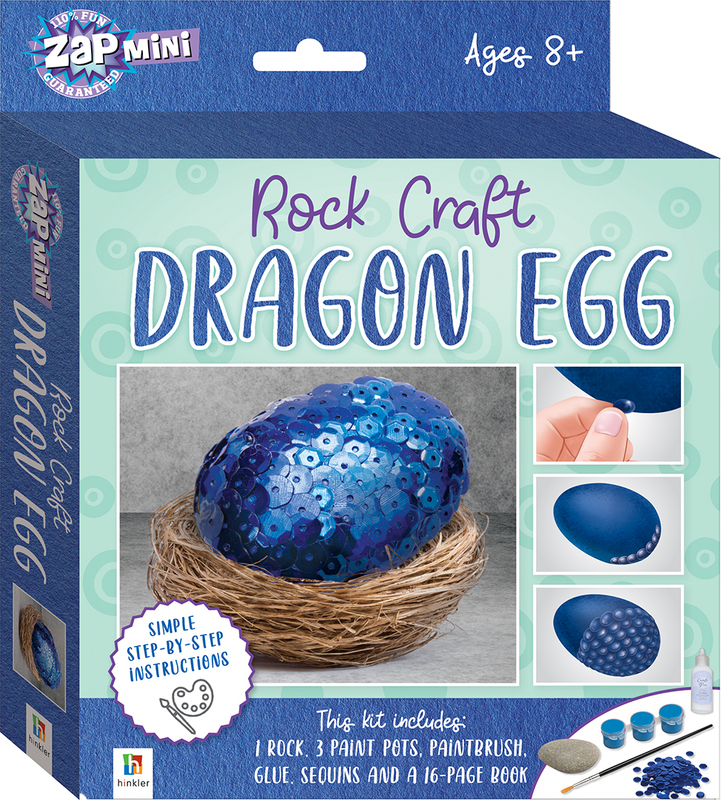 Take rock painting to the next level with Zap Mini: Rock Craft Dragon Egg. Follow the simple instructions and illustrative guides inside and you’ll have made a sleek and shiny dragon egg in no time. This Zap Mini starter kit includes a 16-page book that is filled with step-by-step instructions as well as tips, tricks and handy hints to start you on your rock-craft journey! Including everything you need to make one spectacular dragon egg, this awesome kit will teach you how to create magically spectacular art that will really rock your world!